SJP looking fabulous in yellow!! great pink on Kristin !! she looks amazing and was so funny in the movie!! 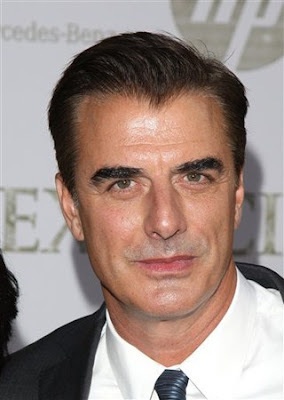 oh, Mr Big..he looked good too !! my Bergdorf photo..... Enjoy the movie !! Don't forget the necklace giveaway ends this Sunday...leave a comment for that post to enter and be sure you are a follower of my blog. I'm glad you weren't disappointed - that's my biggest concern. I will definitely go and see it! Which movie is better? First or second? I adore Kristin in her vintage Jean Desses gown!